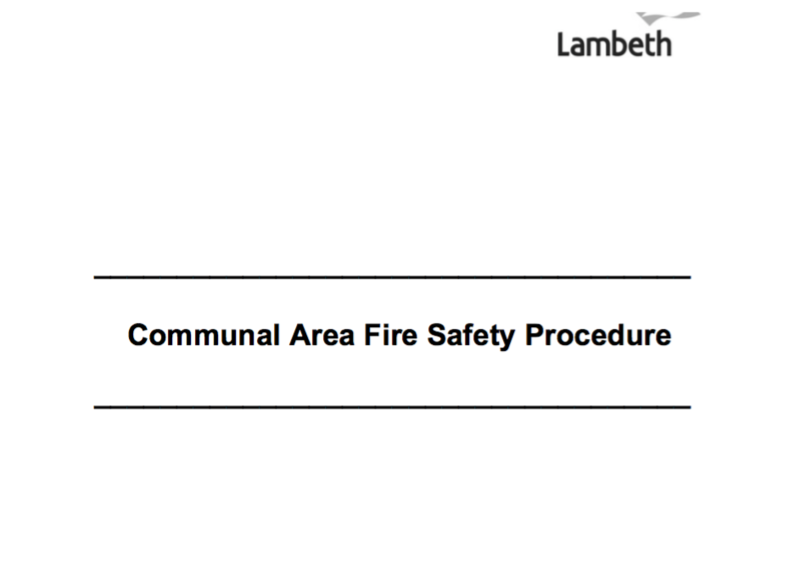 Lambeth Council is required to perform Fire Risk Assessments (FRAs) of communal areas of its housing stock. The relevant legislation is the Regulatory Reform (Fire Safety) Order (RRFSO) 2005. The blocks of flats on Palace Road Estate are covered by 10 FRAs which were performed between April 2017 and July 2018. Each FRA contains an action plan. This is a list of actions which are considered to be required to reduce fire risk or to maintain it at a tolerable level. There are around 90 actions listed in the FRA action plans for Palace Road Estate. The actions have been assigned “priority action periods” (recommended timeframes for completion). These are “as soon as possible” (priority 1), within 1 month (priority 2), within 1-2 months (priority 3), within 2-6 months (priority 4) or long-term action to be taken – e.g. over a 1 to 3 year period (priority 5). The majority of actions (around 80) were assigned priorities of 1 to 4. Given the dates when the FRAs were performed, these actions are due to have been completed by now. In December 2018, the council informed us that over 45 actions / “deficiencies” coming from the FRAs for Palace Road Estate have not yet been performed. It therefore appears that around 40 actions are overdue (i.e. have exceeded the recommended timeframes specified in the FRA action plans). 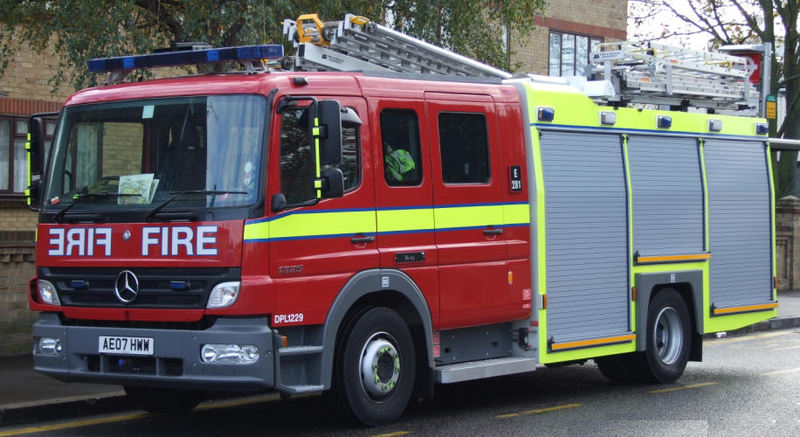 PRERA is concerned that residents’ lives are potentially being put at risk by Lambeth Council’s failure to implement fire safety actions within the recommended timeframes. We have been told that 26 of the pending actions have been placed in a long-term programme of works normally taking 2-5 years for completion. No justification has been provided for extensions to the recommended timeframes and no actual dates for completion of pending actions have been provided. A list of the actions specified in the actions plans in the FRAs for Palace Road Estate which have not yet been completed. The dates when these actions will be completed. The justification for extensions to the recommended timeframes specified in the FRA Action Plans. For outstanding actions where the recommended timeframe for completion has been exceeded, we have also asked the council for evidence of “consultation with all stakeholders” and consideration of the “level of risk to relevant persons”. These activities are required by their own procedure (Fire Risk Assessment procedure, version 2.2, dated 19 June 2018, section 3.3). PRERA has raised a complaint about the council’s failure to provide this information. A response to the complaint is due by 9th January 2019. According to the council’s procedure (section 3.4), the blocks on Palace Road Estate appear to fall into a 3 yearly review cycle. The FRAs indicate a 2 or 3 yearly review cycle (depending on the block). The latest FRAs for some blocks were performed in February 2015 and so it appears that reviews are (over)due for some blocks. The FRAs contain tables of actions towards the end of the documents. The more recent ones use a priority rating for the actions of 1-5. The FRAs contain actions with priorities of 1 (ASAP, call H&S team direct from site); 2 (action recommended to be completed within 1 month); 3 (1-2 months); 4 (2-6 months) and 5 (long-term action e.g. over a 1 to 3 year period). Given the dates of the FRAs, most of the actions should now have been performed. We will therefore ask the council for an update on these actions. 1-16 Chalner House; 8/05/2017; Priority 1, 2, 3 and 5. Lambeth council has carried out a review of fire safety, following the disaster at Grenfell Tower. 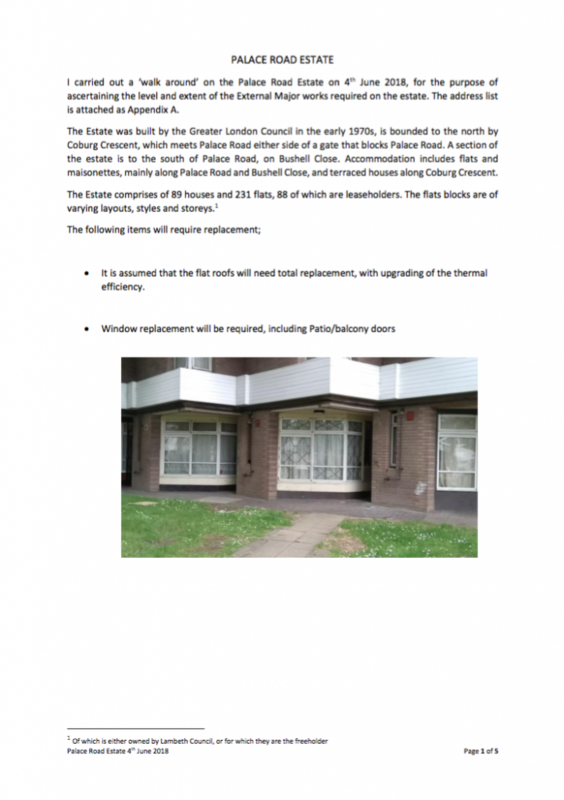 We have been sent a document titled “Communal Area Fire Safety Procedure” which applies to the flats on Palace Road Estate. It can be downloaded here. Of particular interest will be the policy that “enclosed communal areas” are to cleared of all items and “open communal areas” can only be used to store (a) doormats and (b) plants in non-combustible containers. For more details, please see the document itself. 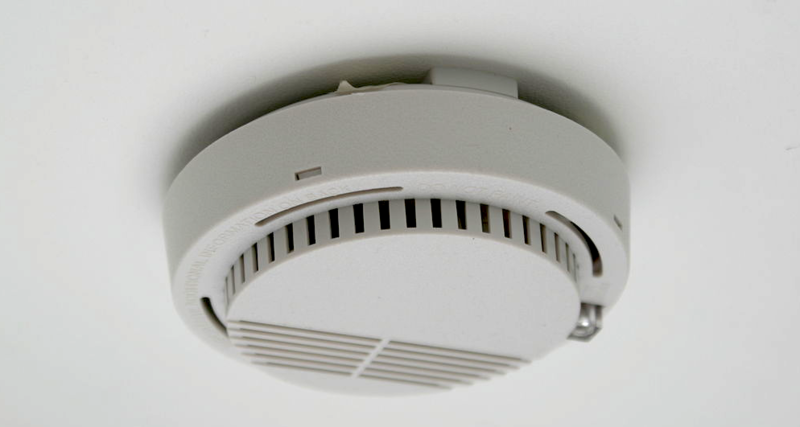 Would you be interested in having fire alarms fitted in your home? The fire service have offered to do this, free of charge. Let us know if you are interested using our contact form, or, better still, come to our AGM and sign up.